Pokemon enthusiasts, take note: science has settled the age-old argument over which starting Pokemon is the very best. It's one of the greatest questions of our generation, debated endlessly around the globe: which of the three starter Pokemon should you pick? Everyone has a favorite, and though we're presented with a new trio of pocket monsters to pick from with each set of games, everyone remembers that first fateful choice of Bulbasaur, Charmander, or Squirtle. In an announcement bound to enrage two-thirds of the world, researcher Kyle Hill has determined that (scientifically speaking), the optimal choice is Squirtle. Hill explained his research in a Scientific American post. Searching far and wide for data (mostly from WolframAlpha's new Pokemon database), he laid out each of the first generation starters' stats. While Squirtle has the lowest base stats of the three, it makes a huge leap when it evolves to Wartortle, making it a better investment. It's not all about the stats, though; Hill also recorded the rosters of every gym leader in the Kanto region, as well as the Elite Four. 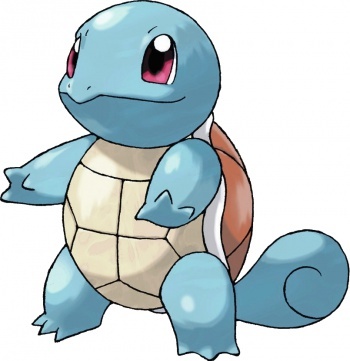 Altogether Squirtle is super-effective more often, and not-very-effective less often, than Bulbasaur or Charmander in the battles where it counts. There are a few arguments that this study doesn't cover, so the debate will inevitably continue. For example, many trainers favor Fire-type starters because wild Fire-types are consistently very rare. Also, Charizard is undeniably rad, and I'm not sure if the research takes that into account.